Motherwell produced a surprise at Livingston but it delivered nothing but bewilderment and frustration for the travelling fans from Lanarkshire. Stephen Robinson struggled to make sense of his team's transformation from last week's winners to this week's losers. "How do you explain it? We didn't do the simple things well enough. Livi did them better than us. It's so hard to explain between the performance we got last week and what we saw today." The manager seemed at his wits end as he spoke after the match. The players had been well warned of what they faced. Long balls thrown into the box from all angles. "We didn't pick up second balls. We didn't land on the ball and when we did we passed it out of play. The same team, bar one player, produced the performance last week and that makes is hard to explain what we saw today." To give Robinson his due he was entitled to expect more from his team. Livingston produced exactly what they have been serving all season and we were unable to cope. They dominated possession and used it to launch balls into our penalty area. Formation was changed but the flow remained in the same direction. We were fortunate to get to the break only one down. Three substitutions were made allowing plenty of time to get us back into the game. For spell we took the game to their half but without threat. Kelly produced his only decent save of the match just before we conceded the second. The one way contest was over. Attention has now to turn to Celtic (h) and Hearts (a). There is little doubt that we will deliver a better showing in those games - it could hardly get worse. 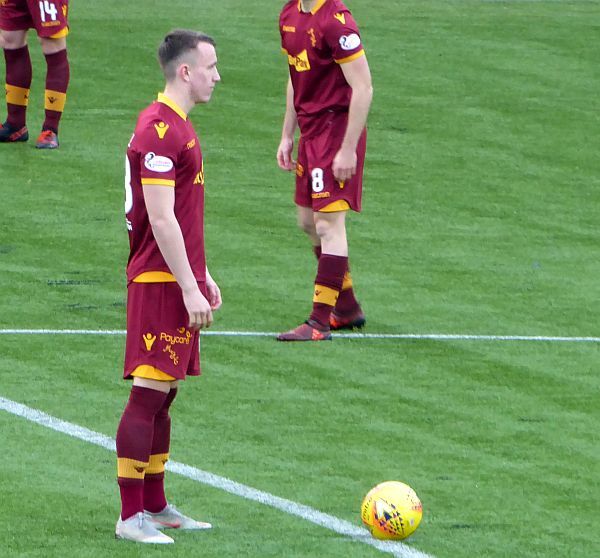 There is no magic wand that will cause Motherwell to roll off a run of consistent high quality performances. We have, for years, celebrated the good and suffered the bad. Let's hope for a couple of pleasant surprises this week.